This Concise Companion examines contexts that are essential to understanding and interpreting writing in English produced in the period between approximately 1100 and 1500. 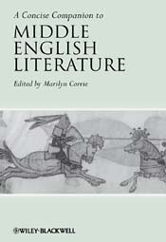 The essays in the book explore ways in which Middle English literature is 'different' from the literature of other periods. The book includes discussion of such issues as the religious and historical background to Middle English literature, the circumstances and milieux in which it was produced, its linguistic features, and the manuscripts in which it has been preserved. Amongst the great range of writers and writings discussed, the book considers the works of the most widely read Middle English author, Chaucer, against the background of the period that he both typifies and subverts.